Documentos enviados por sus autores para su publicación en Alertanet. Cualquier otra reproducción consultar con los autores. Rachel Sieder (ed.) 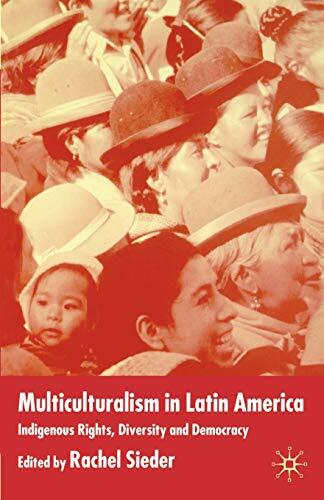 (2002) Multiculturalism in Latin America; Indigenous Rights, Diversity and Democracy: Houndmills, Basingstoke, Hampshire and New York: Pallgrave MacMillan, 280 pp. with index. ISBN 0-333-71476-8. The latest Brazilian census yielded a puzzling outcome: in ten years the number of “Indians” had doubled from 350,000 to 700,000. This cannot simply be explained by natural population growth. In Brazil, like in other Latin American countries, self-identification as Indian, indigenous or originario is on the rise; reflecting a dynamics generated by the dialectic between new-won ethnic pride resulting from “identity politics” and the “politics of recognition” on the part of states. From having been policy objects, over the past three decades indigenous peoples have become political subjects, and very important ones in some countries. This poses new challenges, both for the indigenous peoples’ movements and for the societies, states and polities with which they interact. As Rodolfo Stavenhagen aptly puts it in his contribution to the volume under review, the quest for a “redress for historical grievances -which is what originally started the movement- is a limited objective in the long run (…) what began as demands for specific rights and compensatory measures has turned into a new view of the nation and the state” (p. 41). And we might add that “development” has also become an increasingly contentious issue, with indigenous movements often strongly opposing the currently dominant neoliberal paradigm. The vigor of the new indigenous peoples’ movements in combination with the constitutional reforms that recognized the multiethnic and pluricultural make-up of the population in about a dozen Latin American states and the ratification of ILO Convention 169 on Indigenous and Tribal Peoples, calls for a renovation of the research agenda. The study of how the formal constitutional recognition of indigenous peoples’ rights works out in practice has only begun and this collection of essays is an important contribution to this emerging field of study. In her introductory note Rachel Sieder identifies three broad areas or sets of issues around which the volume is organized: representation and autonomy; legal pluralism and human rights, and poverty and social justice. She outlines the questions and dilemmas encountered in each of these fields. The further contributions to the volume provide detailed accounts and case studies that explore the implementation of multicultural frameworks by Latin American states since the mid-1980s, identify the difficulties and examine some of the dilemmas. The question of indigenous-state relations, participation, autonomy, and representation is discussed in the first four chapters of the book. Rodolfo Stavenhagen provides a historical overview and a panorama of the movements that emerged in the 1980s and contributed to the series of constitutional changes that started in Guatemala en 1985 and reached Venezuela in 1999. After this first breakthrough, however, “the going will be rough from now on,” he points out (p. 34). This is born out in the following chapters by Donna Lee Van Cott, Xavier Albó and Demetrio Cojtí. Van Cott compares the constitutional changes in the Andes region and seeks to assess how they work out in Colombia, Bolivia and Ecuador in terms of “autonomy regimes.” In a detailed survey study Albó explores the faith of indigenous-peasant councillors and mayors elected in the 1997 municipal elections, the first that took place after the Law of Popular Participation was passed. His sober account of the participation and development effects of the policy balances the high expectations fueled by its mentors and entertained by some scholars. Cojtí provides a detailed inside view of the sluggish negotiations over educational reform in Guatemala and shows how, despite parity rules, the governmental ladino side of the equation often could bend the rules and force its point of view. A particularly interesting feature of this section is Albó’s discussion of the “search for better laws” in which he discusses both the “popular mobilization road” and the “parliamentary road.” As to the latter he has few illusions (p. 96). In that way, he addresses a concern also expressed in other chapters; while there is a strong need for stronger involvement and representation of the indigenous population in national affairs, established party systems often block access to that arena making it difficult to achieve the necessary balance between forms of autonomy and participation in the national polity. A few months after the very up-to-date volume rolled from the press, parties with strong links to the indigenous peoples’ movements in Bolivia achieved remarkable and unexpected electoral success. In other countries too, such parties have made inroads that were unthinkable not long ago. This is bound to set new parameters for the debate over autonomy and representation. Moreover, while on the one hand one certainly can view this as a sign of successful democratization and the “inclusion” of sectors hitherto unrepresented as such, such turmoil in the party system will also raise concerns among “consolidationists.” Are “low intensity” democracies being transformed into “high intensity” democracies, and what will be the consequences? The item will be high on the research agenda for time to come. The next three chapters address issues of legal pluralism and human rights. In a densely argued paper Guillermo de la Peña dissects the conflict between the traditional authorities of a Huichol or Wixaritari community and an extended family of evangelical “dissidents.” His essay not only addresses the issue of the relation between individual and collective, or group-differentiated rights. He also frames the issue in terms of social and ethnic citizenship and shows how the thinness of social citizenship for the indigenous peoples of Mexico reinforces their search for ethnic citizenship. Here, as in other chapters, the question of “strategic essentializing,” to capture some of the scarce resources dispensed by a (re-)tired state, crops up. In her chapter Raquel Yrigoyen discusses the formal recognition of legal pluralism in Peru’s 1993 Constitution and the failure of the conservative judiciary and the authoritarian government of Alberto Fujimori to comply with this change in the case of the rondas campesinas. Their members continued to be arbitrarily persecuted for meeting out effective local justice that expressly complies with human rights norms. Rachel Sieder contributes a historical study of state building comparing Guatemala and the Mexican state of Chiapas. She argues that, in contrast to the tradition of violent exclusion that characterized Guatemala for most of the time, the Mexican state followed another strategy that relied on local indigenous authorities to maintain “order” in return for clientelist favors; the case of San Juan Chamula being a notorious case in point. Sieder demonstrates how in Mexico in the 1990s new movements emerged that reclaimed and refashioned tradition in the face of the authoritarian party-state machinery while in Guatemala “tradition” serves as a resource for reconstructing communities wrecked by armed conflict. In these contexts, she shows that formal recognition of legal pluralism may be an advance but that it also may be a governmentality strategy on the part of the ruling elites. That analysis is certainly born out if one takes a look at the local legislation adopted in Chiapas under the administration of Roberto Albores Guillén (e.g. Penal Code of 1998 and local Constitution of 2000). Paradoxes indeed abound in the recognition of “customary law:” We only have to point to the sudden conversion of Mexican congressmen and women to “human rights activism,” and in particular the “defense of the rights of indigenous women,” when it came to blocking the constitutional reform proposal submitted, but hardly defended, by incumbent President Vicente Fox after his election in 2000. Indigenous women’s movements have rejected such human rights paternalism and seek to go their own way, defending their identity and at the same time questioning the usos y costumbres that oppress them. Meanwhile, Fox’s campaign promise to solve the Chiapas conflict in “fifteen minutes” has gone up in thin air and (para-)militarization, modulating between “low” and “moderately low” intensity warfare, continues. In a sad show of dependence the Mexican Supreme Court of Justice has declared appeals against the unconstitutional reform of the Constitution “inadmissible”; a non-verdict that led respectable intellectuals to comment that it shows that legal struggle may well be useless in this country. The last three chapters in the volume address the theme of poverty and social justice. Roger Plant discusses and questions the concept of an “indigenous economy” and provides a broad overview of agrarian and development issues. This allows him to call into question overly romantic views of indigenous communities and to highlight how they are embedded in the national, if not global, economy. He also points out that growing numbers if indigenous people live in urban areas. He therefore insists that issues of poverty and development cannot simply be tackled through local development projects but require a national level approach and that if the economic bases of discrimination are not tackled head on, the experiments in multiculturalism may be in for a rocky ride. Shelton Davis discusses the World Bank experience with indigenous peoples in Latin America. He reviews studies and Bank-funded participatory projects that seek to tap indigenous peoples’ social capital. His main argument, illustrated with various cases, is that promoting indigenous development often runs into political obstacles, e.g. powerful interest groups or rivalries among indigenous organizations or leaders. He finally outlines some challenges for the future: more attention for urban-dwelling indigenous populations; improve entrepreneurial capacity; cooperation among international agencies; and measuring the impact of development initiatives on the lives of indigenous peoples and their communities. In the final chapter Nina Lauri, Robert Andolina and Sarah Radcliffe seek to assess the implications of multi-ethnic policies for land and water reform in Bolivia. They argue that despite including features of recognition, the separation of land and water policies may collide with the cultural logic of the Andes population. Illustrating this with two case studies from Bolivia they furthermore show how the politics of recognition can be strategically employed in framing demands, but that this also may result in new forms of exclusion. They make a plea for listening to the voices of the emerging excluded during the application of the new multi-ethnic policies. While very insightful, one cannot expect Davis’ self-evaluation to be overly critical of World Bank practice itself and it contains the usual optimist language about “lessons learned” and “ways ahead.” Although indigenous peoples’ organizations certainly are involved in certain World Bank projects they are often highly critical about the effective implementation of its operational directives regarding indigenous peoples and also accuse the Bank of maintaining a double agenda in which the “do good” projects at best mitigate the effects of the macro-economic policies it promotes. However, while employing self-assured World Bank idiom about promoting participation in “the development process” (p. 238) and helping indigenous peoples “to take advantage of the new opportunities provided by globalization and the opening up of their respective national economies” (p. 230) throughout the paper, he ends with an interesting note on diversity being threatened by past and current models of economic development; a shadow of a doubt, perhaps? In his contribution, Plant notes that the multilateral agencies mostly see lack of market integration rather than market forces as the problem. Individual and freely disposable land titles then are viewed as the passport to credit and progress, and a fast track out of poverty (p. 217). The discussion of the commodification of land and water in the chapter by Lauri et al. also suggests that there might be something amiss with “the” development process. 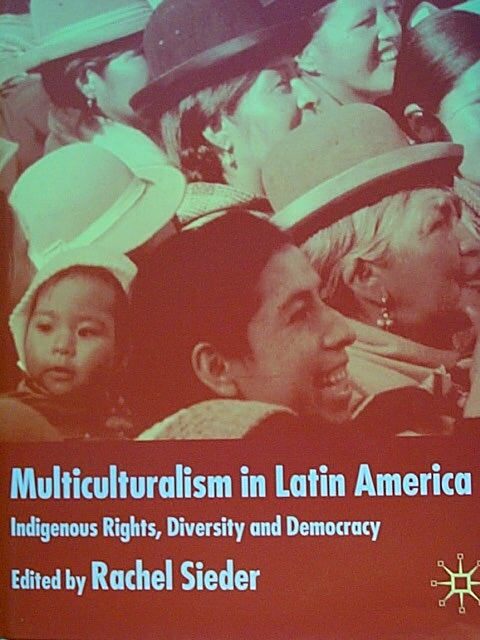 Such contrasts make the volume excellent teaching material and with its high quality discussions, covering both the Andes region and Meso-America, the volume will also be obligatory reading for scholars interested in multiculturalism in the region and elsewhere, and it will be a source of inspiration for studies in other Latin American countries. It thus contributes to innovate the research agenda and to reframe the debate regarding the ways to confront the challenge of diversity in Latin America.